Borders In Bankruptcy. Is Your Bookstore Next? As Borders files for Chapter 11 bankruptcy today, NPR's Lynn Neary wonders about the precarious future of brick and mortar bookstores. 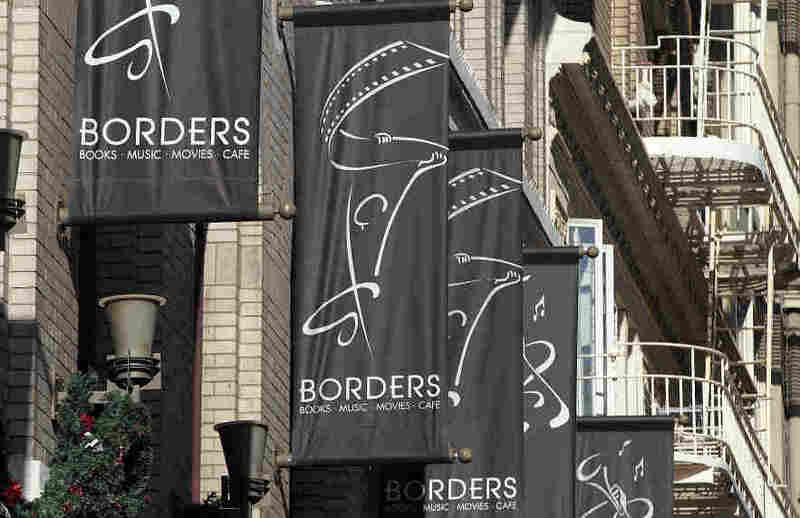 It's finally happened: Borders has filed for Chapter 11 bankruptcy protection. The publishing industry has been worrying about the future of the superstore chain for years, but since the beginning of this year the question has been not if, but when. Borders' list of creditors sounds like a who's who of publishing: Penguin, Random House, Hachette, Simon and Schuster — the list goes on. Borders closes out with debts of more than a billion dollars. The chain did receive $550 million from GE Capital, which will allow it to keep operating as it reorganizes. Even so, the company will close about 200 of its stores. For those who love bookstores, this is sad news. No one is missing the irony that Borders was once considered the enemy of independent book stores — the rise of the superstore chains forced many independents out of business. But over the years, Borders became the neighborhood store for a lot of book lovers and many of them won't be happy to see their local Borders go out of business. It's also bad for publishing, which can ill afford to lose so much shelf space for hardcovers and paperbacks at a time when electronic books are increasing in popularity. And Borders' bankruptcy filing comes just as many independents are still struggling to survive. Just last week, one of the biggest and best known independents, Powell's Books in Portland, Ore., had to lay off 31 employees. So we're feeling a little nostalgic about bookstores today, wondering if they have a future in the digital world; wondering how much people care. Do you? What do you think makes a great bookstore and what will it take for bookstores to survive?